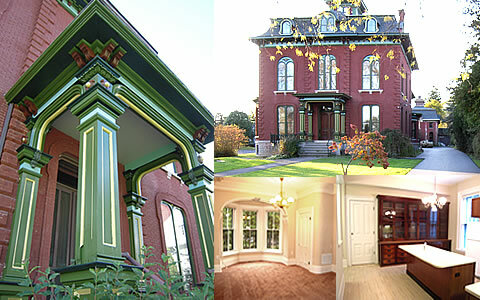 Situated on a one acre park like setting, these unique residences set the standard in Seneca Falls for apartment living. Inside the completely renovated Johnson House the building will offer a diverse array of thoughtfully designed apartments, each with unique amenities and features, served by an elevator, in unit washer and dryers, central air, in a secure premises with state of the art fire protection, off street parking, great views and easy living, all at one of the finest addresses in Seneca Falls. Premium Two Bedrooms from $1,175 to $1,600 plus utilities.